Soon after uttering this declaration the two worlds in which Starr Carter exists collide in Angie Thomas’ New York Times bestselling YA novel, The Hate U Give. 8 starred reviews cannot be mistaken. Everyone should read this book. With a phrase coined by rapper Tupac Shakur as the title, Thomas’ book hits on the timely topics of racial profiling, police brutality, and the Black Lives Matter movement. One goodreads.com reviewer states [Starr Carter] is resilient, authentic, and everything we need in adolescents today.” Starr’s genuine and relevant voice will not only make you think twice about injustice, you will want to stand up with her and take action for justice in our society too. A glimpse into this powerful YA Novel…. The Hate U Give is Angie Thomas’ first YA novel. Thomas resides in Jackson Mississippi, where she was born and raised. 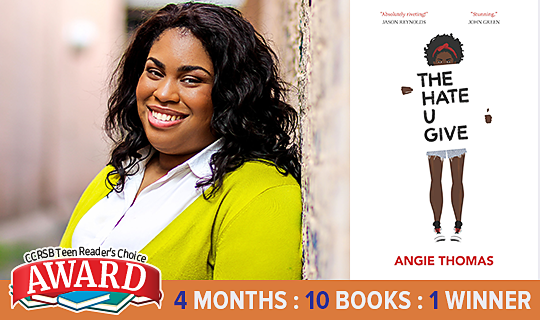 Formerly a teen rapper, Angie Thomas holds a BFA in creative writing from Belhaven University. One highlight of her short lived rap career was appearing in RightOn Magazine. 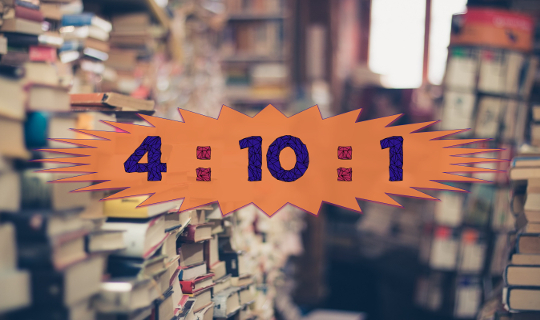 Angie shares some fun facts about herself in this video from Epic Reads. Don’t Forget! It’s All Up To You Now! So Read And Be Ready To Vote! Visit our CCRCE Teen Reader's Choice Award website to keep up-to-date on all the nominees and to have your say! Check Out ALL the Nominees!